GP SMS Pack 2019 Only 1 Tk 25 SMS Any Number 3 Days! 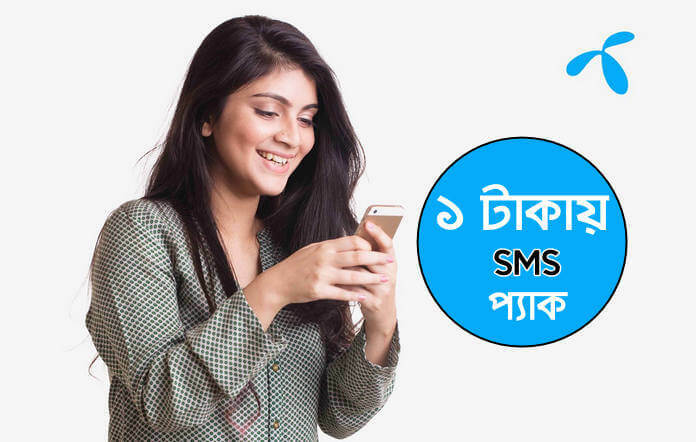 Grameenphone is the largest mobile operator in Bangladesh, GP SIM’s best SMS package in 2019. SMS enjoy other operators. GP low price SMS bundle pack 2019, this is a best and nice offer for GP customer. SMS bundle pack offer for any local number. 25 SMS will be available for the only 1Tk from all GP (Grameenphone) numbers. The GP 2019 SMS pack validity is 3 days. Customers can buy this SMS pack multiple times a day, and unused SMS will be added if you buy the same package. Grameenphone prepaid and the postpaid customer can avail this offer. Dial *566*18# to know SMS balance or check MyGP app. Multiple time purchase this offer. Djuice, GP Public Phone, Village Phone, Business Post Office users can’t enjoy this pack. Thank you so much for being with us, if you want to get more new updates, please like our Facebook page.